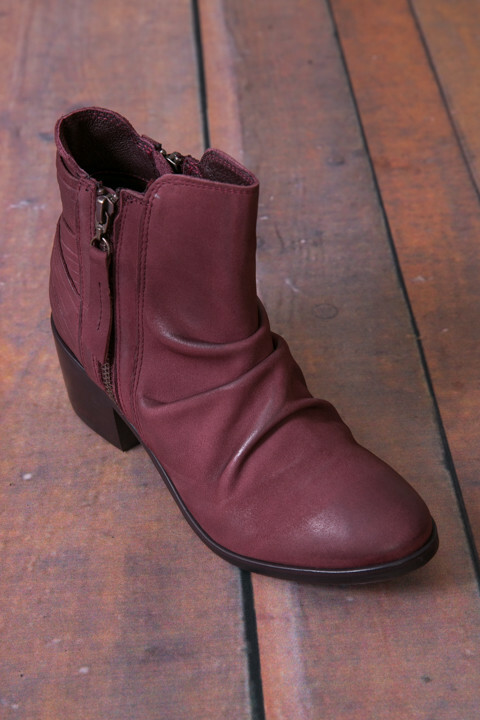 Add a pop of color with the Bison booties by Matisse Footwear. 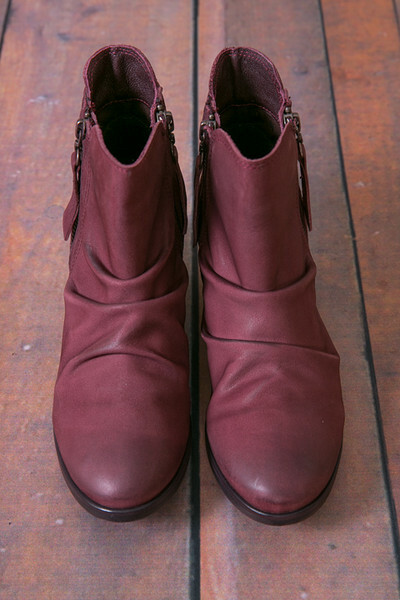 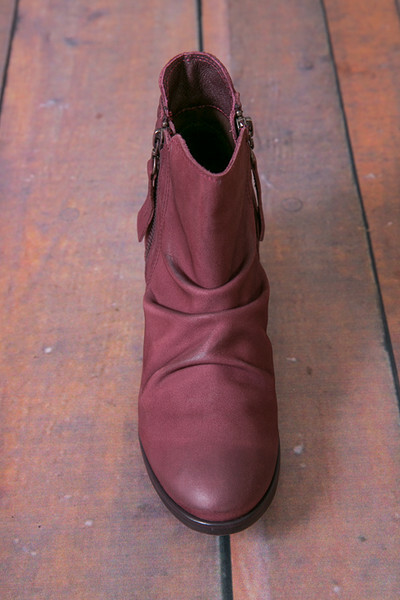 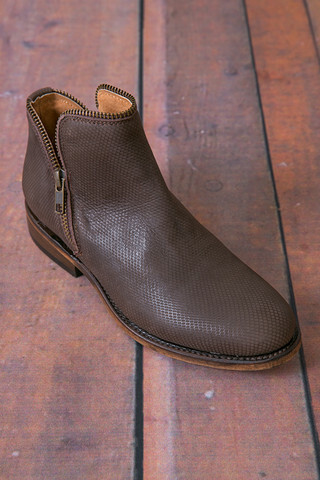 A lux plum colored leather has worn in details along the ankle and toe that achieve a laid-back look. 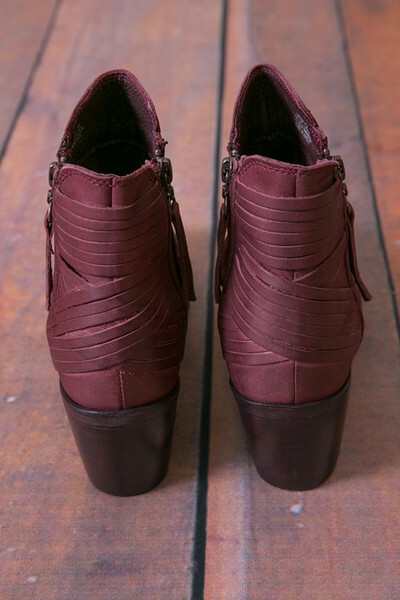 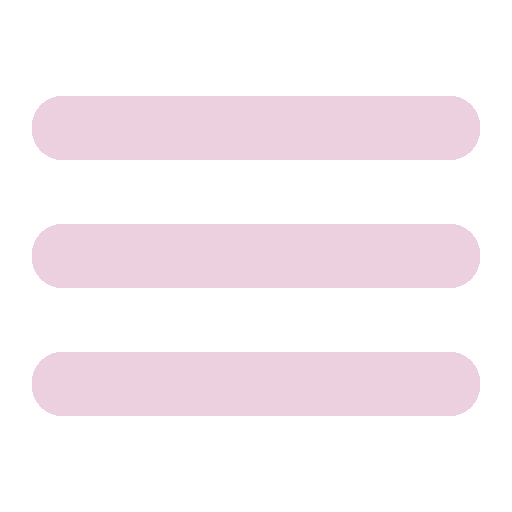 The heel has finely cut leather pieces that form a woven criss cross. 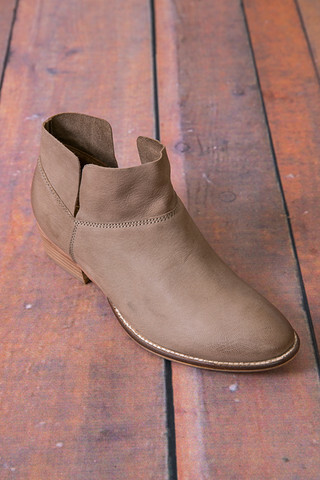 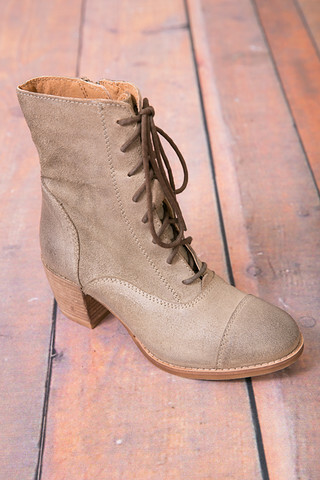 The ankle bootie has two brass zippers on each side, and dark mahogany colored heel.